Australians are a laid-back, modest people. They do not try to act condescending, and will not brag about things like educational experience or professional success. They do not appreciate people showing pretentiousness, and value honesty and egalitarianism. As a society, Australia is making way of having a very multicultural heritage and make up. There are the Aborigines, and then the first people of British and Irish descent, followed by huge waves of migration from around Europe and parts of the Middle East. Australia has recently relaxed many of their immigration laws, so there has been a huge influx of Southeast Asians and Pacific Islanders. Australians practice gift giving on birthdays and Christmas. During the holidays, it is common to give tradespeople like custodians or cleaning ladies a bit of cash, or a bottle of wine or some beers. If you are invited to someone’s house, it is a nice gesture to bring chocolates, flowers or a bottle of nice wine. You should arrive on time, not more than 15 minutes late. If you are invited to an Australian home, do not be surprised if you are invited to a “barbie,” or barbecue. 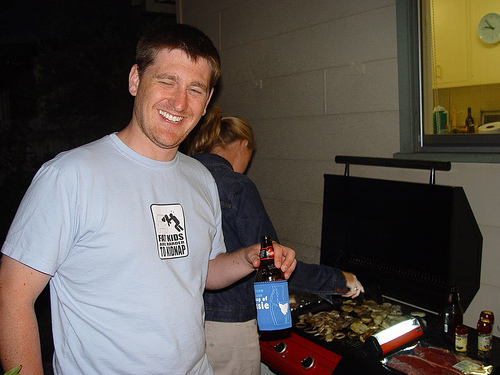 Barbecues are generally BYOB (bring our own beer), and sometimes even BYOM (bring your own meat). You should call in advance to see if you should bring a dish or anything to the barbeque. Australians present at this event will probably drink a lot of beer, as it’s a common drink in their society. 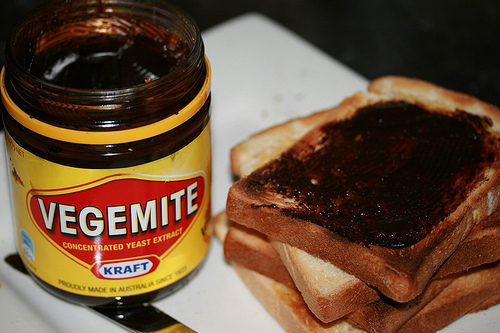 You’ll also probably find Australians who are into eating Vegemite, which is a salty yeast extract. People who are not Australian generally do not enjoy this condiment. Some of the traditional Aborigine foods consist of kangaroo, wombat, snake and witchetty grubs, which is moth larvae. You should say “please” and “thank you” often in Australia. If you do not use them when offered or given something, people will think you are rude.